Mason is a typical active seventh grade boy. To quote his teacher, "he is kind, smart, and funny." Some of his favorite activities are reading, rollerblading, swimming, kayaking, mixed martial arts and cheering on his favorite sports teams (especially the Patriots). English and math are his favorite subjects. In fourth grade, an unusual stomach ache and sudden weight loss abruptly sidelined him from all of these activities. A series of doctor's appointments, blood tests, x-rays, and invasive tests led to the diagnosis of Crohn's Disease. It was difficult for him to be diagnosed and to hear about the lifelong implications of this disease at such a young age. With the help of Dr. Jess Kaplan at MGH, it is finally under control. 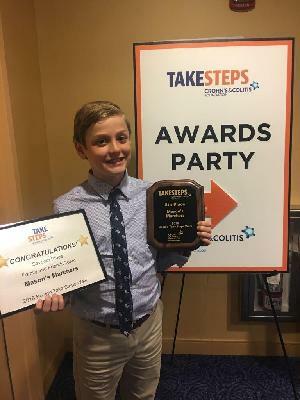 Learning that Crohn's is a lifelong disease, Mason along with his mother Jill, set out to educate his family and classmates and to raise funds for research toward a cure. Mason served as the Pediatric Honoree at the 2017 walk. He led the entire Boston IBD community through sharing his story and with his fundraising. 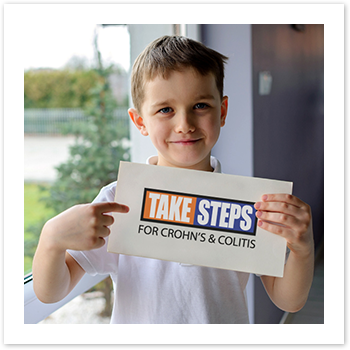 Over 40 supporters marched with Mason in Take Steps, 2017 and over 100 people donated to the Crohn's & Colitis Foundation to support him. It was meaningful to have so many friends and family members who donated and/or walked, as well as so many other supportive participants at CCF Take Steps, stand up with him against Crohn's Disease. It sent him the message that he is not alone in his hope for a cure. This year, Mason has again committed to raise funds toward a cure. Take Steps is CCF's national walk dedicated to finding cures for digestive diseases. It is a casual 2-3 mile stroll to raise money for crucial research, bringing us closer to a future free from Crohn's disease and ulcerative colitis. Over 1.6 million American adults and children are affected by these digestive diseases. Your donation will help support local patient programs, as well as important research projects. This cause is very important to our family and we appreciate your help as we fight for cures! In addition to donating, you can join us at the event. There will be food, music and family activities. The more money we raise, the closer we will be to making life more manageable for patients who live with these diseases every day. 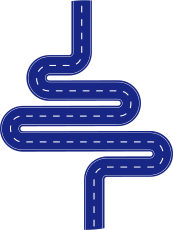 Please join our team or donate to support CCF in finding cures.